If you are looking for a fun and easy (and amazing smelling!) craft to do with your family, this might just be it! All you need are 2 ingredients, a few cookie cutters, a straw, a little ribbon and some rubber gloves. I did this with a group of friends yesterday. We made A LOT of ornaments. You might not want this much, so just divide the recipe to make how ever many you would like. 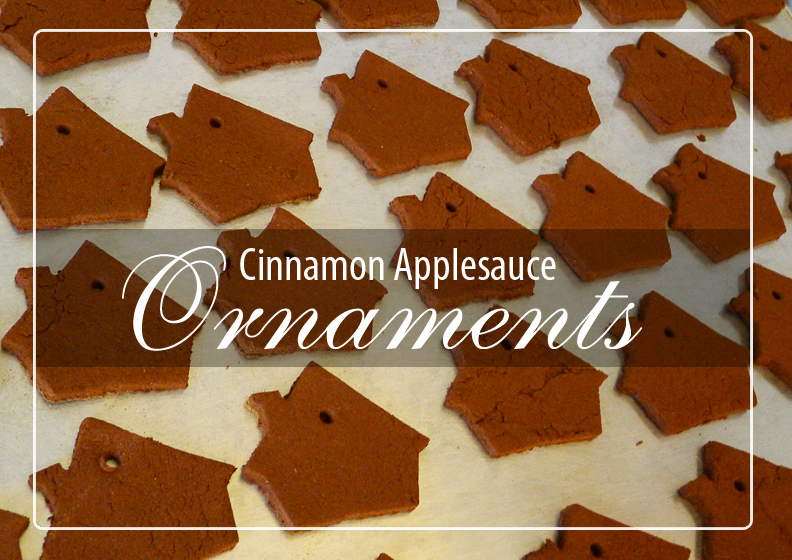 This particular recipe will make around 35 ornaments. Pour the 16 oz. 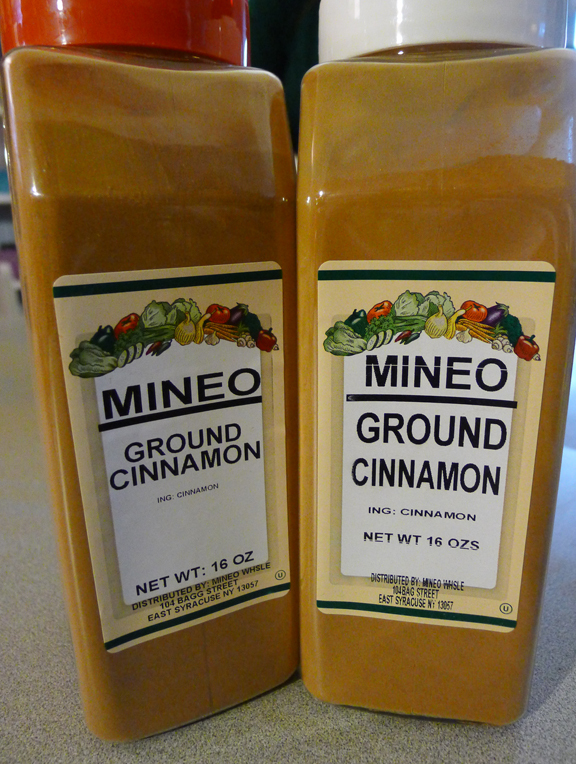 container of cinnamon in a fairly large bowl. 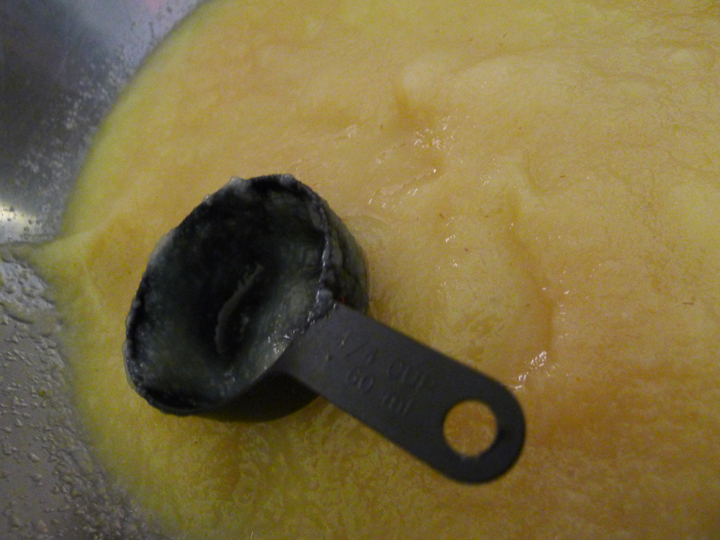 Add the 2 cups of applesauce. 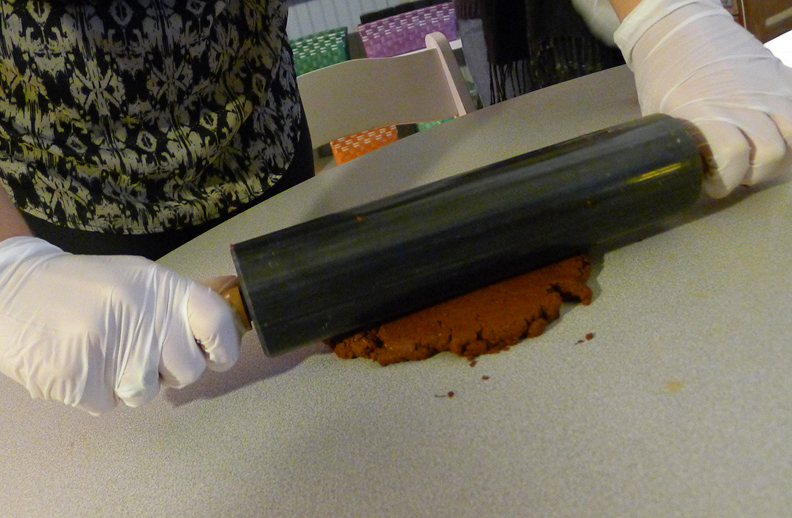 Use a rolling pin to roll out the dough on a flat surface. Spread some cinnamon on the surface to keep dough from sticking. 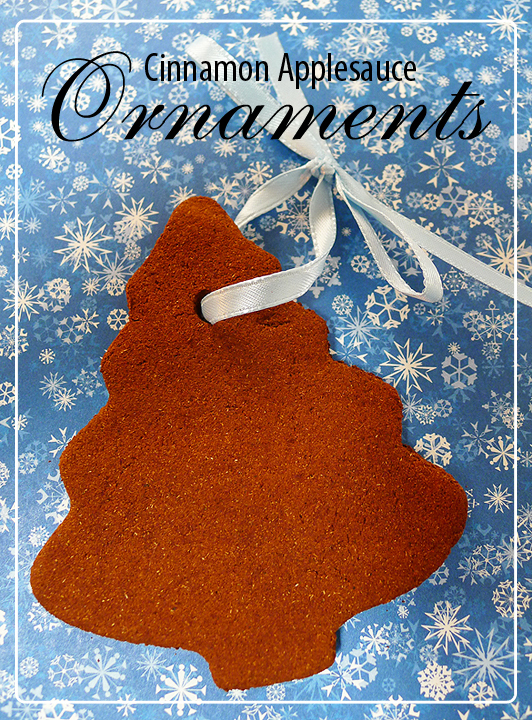 Do not use flour, it will discolor your ornaments and will get eventually create mold. You don’t want that! 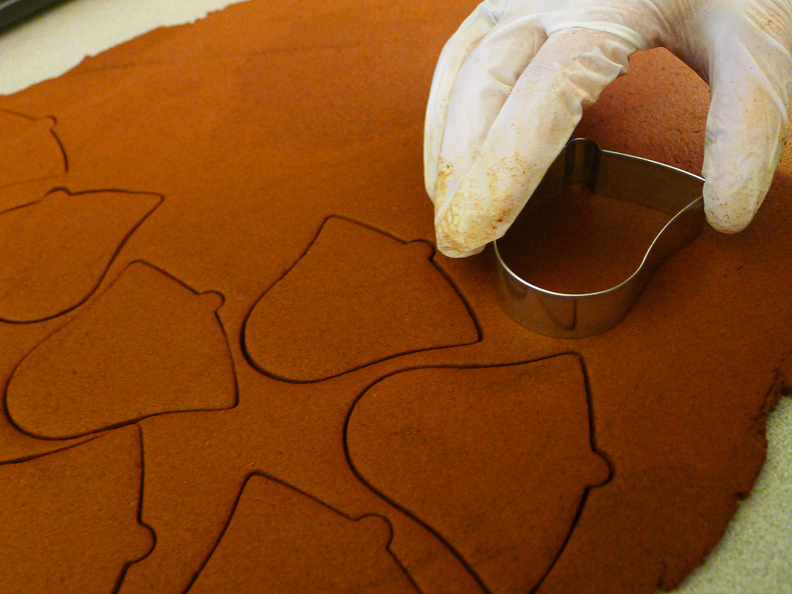 Create cut-outs using your cookie cutters. 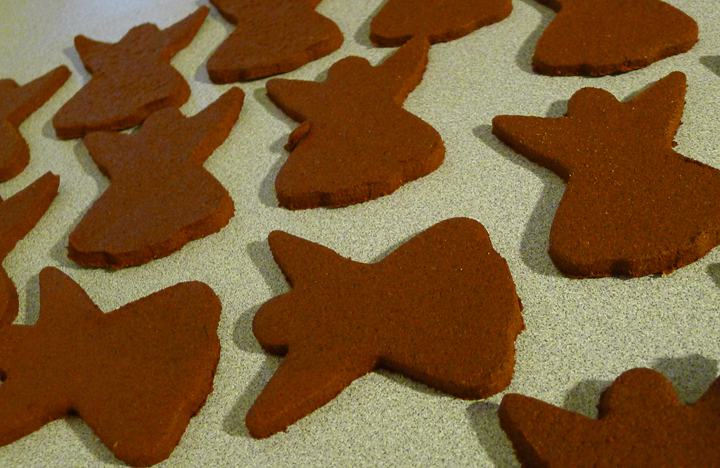 Spread the ornaments on a large pan to dry. These do not have to be baked. 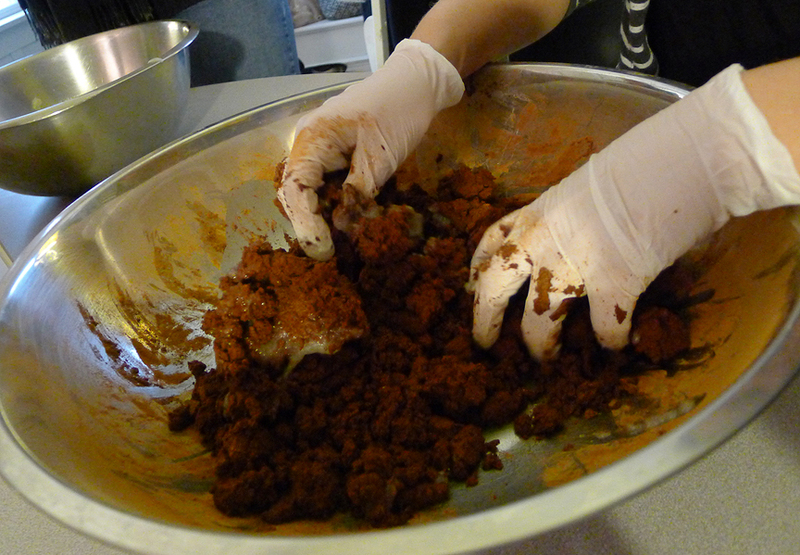 If you let them sit for a few days (and flip them a couple of times each day), they will harden on their own. I have also found instructions where you can bake them in an oven at 200 degrees for an hour or so, if you’d like them to be done sooner. You will also want to flip those a couple of times if you choose the baking route. They edges will tend to curl if you don’t flip them. Once your ornaments are complete, finish them off by tying ribbons through the holes and hanging them on your tree! You could also give them away as gifts or tie them on gifts as an extra touch. 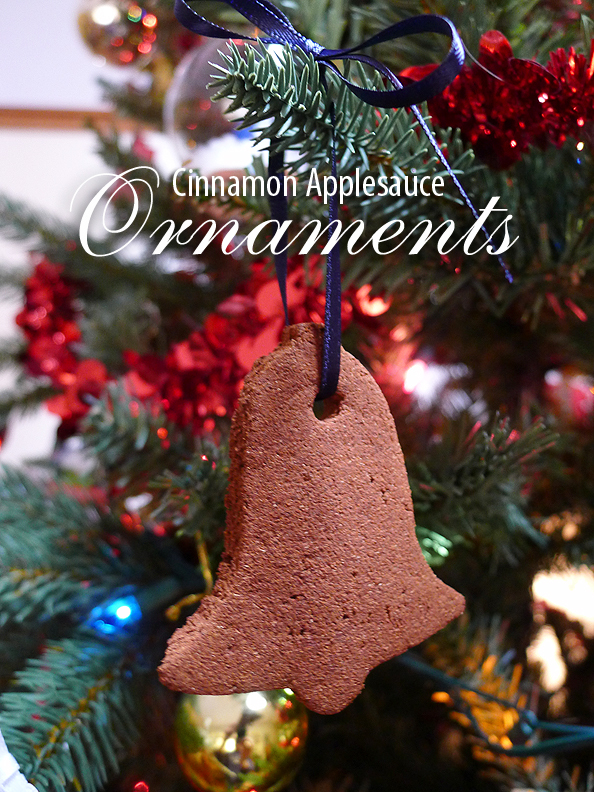 This entry was posted in crafts, holiday, recipe and tagged applesauce, christmas, cinnamon, craft, ornaments.